Ceci est un condo 1 chambre, 1 salle de bain niveau supérieur pour un maximum de deux personnes. Il a été rénové tout au long, est nouvellement meublé et équipé également très confortable et situé dans bien entretenu luxuriante Ekahi Village. L'unité est climatisée avec un Lanai hors de la salle à manger et la chambre à coucher, il ya aussi Internet sans fil et sans frais supplémentaires pour le stationnement. Le condo est à proximité des belles Keawakapu et Ulua plages, à seulement une minute à pied à la natation, plongée, sentier côtier affrontant une grande partie de Wailea, profiter de promenades et couchers de soleil à travers de beaux jardins, et un court trajet en voiture jusqu'à restaurants d'échelle et de shopping. Condo est situé à Ekahi Village, 3300 Wailea Alanui Dr, Unité 23D, Wailea, Maui, Hawaii. Waves crashing on the shore, tropical birds singing, sun sparkling off the ocean, spectacular views from the lanai....what more could one want for a paradise? We love visiting Ekahi every year. This is our favorite retreat. The condo is well maintained and attractive. We will be back. 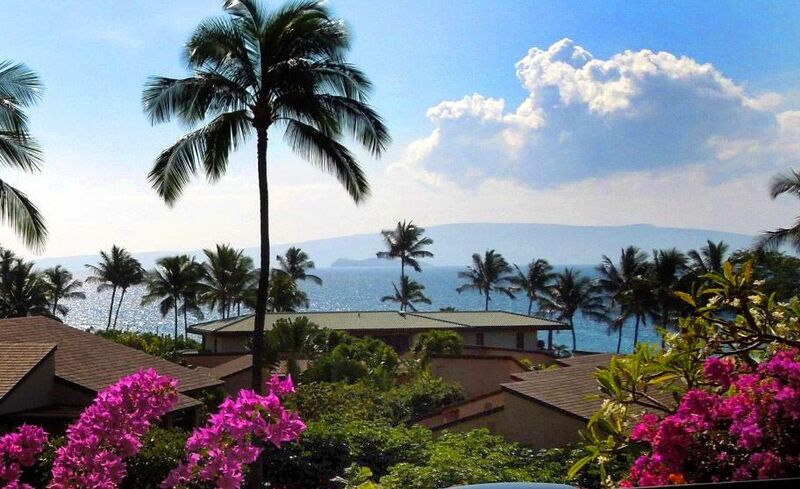 We had a great time in Wailea and truly enjoyed the condo with the perfect view! We'll be back! Our stay in this condo was perfect. Well appointed condo with everything we need. Lanai view was beautiful ocean, morning sunrises and evening sunsets. Bob was GREAT to deal with. We will be returning again to this condo. Already planning on our next trip. Comfortable, clean and convenient location to beach and pool. We stayed in the condo in 2016 and said we would be back. So this year we came back and stayed for the month of November. Everything was as remembered and Bob is a pleasure to work with. The condo is well stocked, perfectly situated but, as in the prior year we spent too much time sitting on the lanai enjoying the sun, view and our morning coffee. This place is lovely. A very very short walk to the really pretty beach (2 minute walk). The unit is quiet and clean. The owner is communicative and very helpful.